disney Princesses. 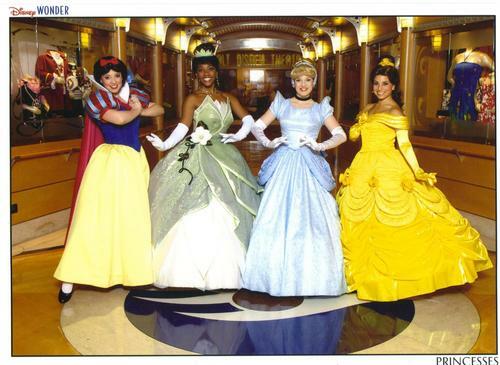 disney Princess on disney Cruise Line. HD Wallpaper and background images in the The Princess and the Frog club tagged: princess and the frog princess tiana tiana prince naveen princess frog disney. This The Princess and the Frog photo might contain hoopskirt, crinoline, gaun pengantin, gaun, pernikahan gaun pernikahan, ball gown, and gaun pesta.